BloomingPaws veterinarians share information about heartworms: preventable parasitic worms that reside in the heart and blood vessels of the lung causing damage. If your pet is heartworm positive, contact your veterinarian immediately to speak with about treatment. Heartworm infection is the presence of heartworms in the body of the pet. Approximately 1 million dogs in the U.S. are estimated to have heartworm disease. The presence of the worm causes inflammation in the surrounding tissue (heart and lungs) leading to difficulty with blood flow through the heart. The physical presence of the worm also interferes with blood flow through the heart. This leads to pressure build up in the lungs, coughing, and eventually heart failure. Occurs when a mosquito takes a blood meal from an already infected dog or coyote and then takes a blood meal from an uninfected dog, cat, or ferret. There are many available antigen heartworm tests. All of the in-clinic tests detect presence of adult female worms. If the in-clinic test is positive, your veterinarian may want to perform another test to confirm through a diagnostic laboratory. Current testing can only detect female heartworms. If an all-male population is present the test could be falsely negative. If there are only a few heartworms present there may be low antigen levels or sporadically present and so test may not show positive for months. Several research studies have confirmed that resistant worms can develop in dogs. However, there are no indications that resistance is common nor occurring at an increasing rate. Most reports at this time have been limited to the south-central U.S. where heartworm infection is more common, resistance could develop in other locations as well. Determined by grading the heartworm disease. Grading is on a scale of 1 (no symptoms or very mild symptoms) to 4 (very severe treatment may not be possible). The grading of heartworm disease is done through examination results, chest radiograph results and CBC/Chemistry results. The treatment may be two Immiticide injections 24 hours apart or an initial Immiticide injection followed 30 days later by two Immiticide injections 24 hours apart. Melarsomine dihydrochloride (Immiticide) is the most common and safest used medication that we have available to us. It is no longer made in the United States and has to be imported from other countries. There can be shortages of this medication from time to time. Doxycycline (antibiotic) – kills a gram negative bacteria that is found in the heartworm and is known to cause increase severe reactions to heartworm treatment. Should be started prior to Immiticide. Glucocorticoids (steroids) – reduce inflammation associated with the heartworm dying which reduces severe reactions to heartworm treatment. Strict exercise restriction for 30 days after each Immiticide injection. 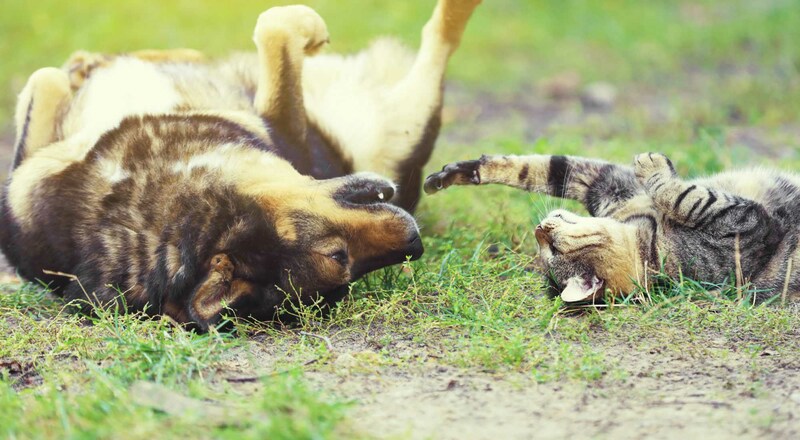 The most important thing you can do to minimize complications during treatment is to restrict your pet’s exercise before, during and after the melarsomine injections. When adult worms die, they collapse and are pushed deeper into the smaller branches of the vessels that supply blood to the lungs. Because exercise increases blood flow to the lungs, it increases the likelihood that dead worms will block blood flow. This can result in severe complications and possibly death. The importance of restricting your dog’s activity cannot be overemphasized. Heartworm medicine works by killing the parasites that your pet picked up the previous month (it doesn’t actually prevent the worm from infecting your pet). If you stop giving it in the fall or early winter, the parasites could remain and cause disease. In many regions, the weather remains mild and mosquitoes continue to bite and cause heartworm disease. When the temperature rises above 50F mosquitoes can be active and taking blood meals. When traveling with your pet to warm places, you may expose your pet to the threat of heartworm infection. Getting the timing of when to stop and start giving heartworm medicine right is much more difficult than staying on a regular monthly schedule. And while prevention is inexpensive, treatment is not. Should be started on puppies and kittens as soon as possible preferably no later than 8 weeks of age. Dogs over 7 months of age being put on heartworm prevention for the first time must be tested before prevention is started. Dogs that have never been on heartworm prevention must be tested before prevention is started. 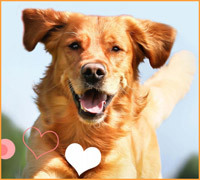 Contact our vet clinic for more information on heartworm preventative, treatment, or testing.